It’s not uncommon to have doubts about our faith. This tract helps Christians see that their eternity with Christ is really secure. 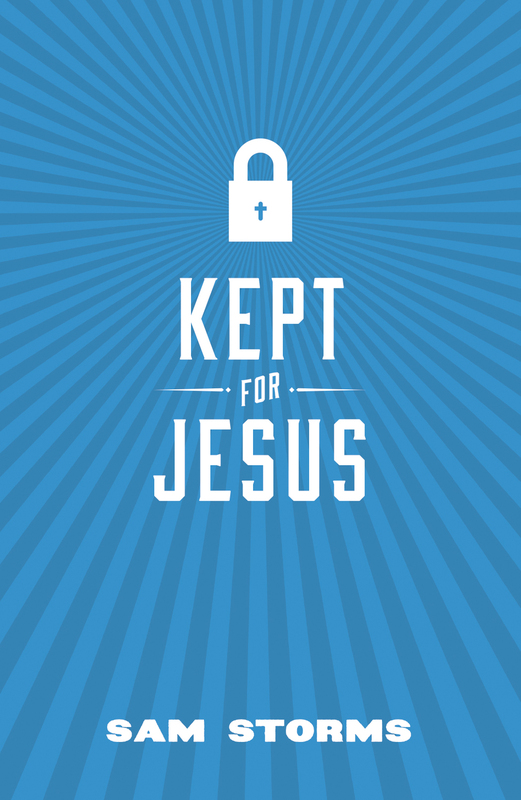 Many genuine believers live with deep anxiety about their eternal security. But in Scripture we find abundant reasons to believe that when anyone is born again by the Spirit of God and justified by faith in Christ alone, he or she will persevere in faith to the end—even when that perseverance is bumpy and inconsistent along the way. If someone who was apparently born again later persists in unrepentant sin and hard-hearted unbelief, such lack of perseverance demonstrates that in all likelihood that person never knew Jesus, and Jesus never knew them. Our perseverance is ultimately more about God and his character than about us. Because God will preserve us, we will in fact endure in faith. We know this because “those whom he foreknew he also predestined to be conformed to the image of his Son. . . . And those whom he predestined he alsocalled, and those whom he called he also justified, and those whom he justified he also glorified” (Romans 8:29–30). That’s not to say our character doesn’t count. We’re told to “strive . . . for the holiness without which no one will see the Lord” (Hebrews 12:14). But without the Lord, no one will see holiness. The confidence Jesus has in the safety of his sheep is grounded in the incomparable omnipotence of the Father. The sheep are secure because no one is more powerful than the Father who holds them in his hand. The security of our salvation is grounded in the logic of love. We’re told in Scripture that Christ died for those who are “weak,” “ungodly,” and “enemies” of God (Romans 5:6, 10). Out of his love, God sent his Son to die for us not because of our loveliness, but in spite of our unloveliness. Having loved us so much while we were helpless, sinful, and ungodly—how could he separate us from that love now that we’re adopted as his children and reconciled to his heart? God has made the most costly sacrifice possible to secure our eternal safety: he “did not spare his own Son but gave him up for us all”; therefore, “how will he not also with him graciously give us all things?” (Romans 8:32). Having already done so much to save us, he’ll certainly guard our souls as we encounter life’s many threats and temptations. The security of our salvation is grounded in the ministry of the Holy Spirit in our hearts. We read that believers have been “sealed with the promised Holy Spirit, who is the guarantee of our inheritance” (Ephesians 1:13–14). By “the Holy Spirit of God” we “were sealed for the day of redemption” (Ephesians 4:30); God has “given us his Spirit in our hearts as a guarantee” (2 Corinthians 1:22). There will be times in every Christian’s experience when God seems distant and uninvolved, when we have doubt, fear, or anxiety, and feel beyond the reach of his forgiveness and grace. But his Spirit has sealed our hearts, declaring loudly and clearly: You belong to God! Your eternal inheritance is guaranteed! All biblical truth is reason to rejoice, but perhaps none more so than this truth of our eternal security. What encouragement! What joy! What strength for today’s problems! What peace for tomorrow’s threats! God has said it; God will do it: “He has said, ‘I will never leave you nor forsake you’” (Hebrews 13:5). This means he’ll do whatever’s necessary to guarantee that we will never leave nor forsake his Son! Paul prays for believers, “May the God of peace himself sanctify you completely, and may your whole spirit and soul and body be kept blameless at the coming of our Lord Jesus Christ”; Paul then immediately adds, “He who calls you is faithful; he will surely do it” (1 Thessalonians 5:23–24). As New Testament passages abundantly emphasize, God is faithful to sustain and establish us in our relationship with Jesus; he supplies our every need, all the power, and whatever spiritual resolve is required. As Paul declared, “He who began a good work in you will bring it to completion at the day of Jesus Christ” (Philippians 1:6). Whatever God starts, he finishes!